An exploration of why Thucydides’s Trap (a deadly pattern of structural stress that results when a rising power challenges a ruling one) is the best lens for understanding U.S.-China relations in the twenty-first century. ...argue[s] persuasively that adjusting to this global power shift will require great skill on both sides if conflagration is to be avoided ... helpfully illustrated with maps and charts...with wide-ranging, erudite case studies that span human history ... this fine book show[s] that China intends to evict the United States from Asia in order to restore its dominance over what it considers its historic spheres of influence. Unfortunately, Washington is poorly prepared to deal with a China that strategizes in terms of the symbolic undercurrents and sensitivities illuminated so dramatically by Allison. The book is extremely uneven, a hodgepodge of borrowed history, gee-whiz cliches about current China and, occasionally, some genuine insights. Allison has worked or consulted for the Pentagon in several administrations, and he is at his best in writing with authority about defense issues ... In the best section of the book, Allison critiques America’s strategy toward China since the end of the Cold War (he calls it 'engage but hedge') and lays out alternative strategies ... The primary defect of the book is that it is weakest in the chapters on China itself. The view of China that Allison conveys too often reflects the distant, top-down view of outside elites, in which the Chinese Communist Party is all-powerful, enjoys public support and is firmly in control of the country. A meditation on the perils of war and the challenging possibilities of peace between these two great powers, this book asks uncomfortable questions, provides few comforting answers, and leaves the reader uneasy with dangerous knowledge ... His historical interludes balance thoroughness with concision — sharing fresh anecdotes with the seasoned reader without overwhelming the neophyte ... 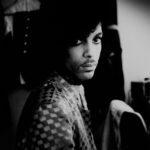 The stories verge on tedious precisely because the same fears and ambitions are at play again and again. But such repetition is arguably purposeful, as Allison seeks to convey the timeless character of Thucydides’s Trap ... While Allison does not necessarily position his book as a clarion call to action, he does provide a roadmap for serious reflection on a problem of grand proportions. 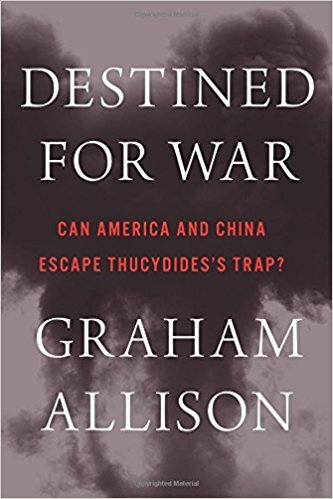 What did you think of Destined for War: Can America and China Escape Thucydides’s Trap? ?